Bosnia Herzegovina was the scene of one of the most bitter civil wars of the 20th century, and the consequences of that war still influence almost every aspect of life within the country. Officially united under a tripartite presidency, the country is split into two parts, reflecting the opposing sides of the civil war: Republica Srpska is predominantly ethnic Serbian and the Federation is mostly ethnic Croatian and Bosniac (Muslim). NATO withdrew from the country in 2004, handing over responsibility to EUFOR (European Union FORce), which retains small detachments of military in the country to dissuade any resumption of violence, as well as to assist in the location and arrest of individuals indicted for war crimes. Despite the continued need for the presence of foreign troops to maintain stability, Bosnia is turning itself into a tourism center: the country has always been renowned for its unspoiled countryside and the architecture of many of its towns and cities: from medieval castles to the repaired Ottoman bridge at Mostar and the beautiful Austro-Hungarian buildings of Sarajevo. More people now visit Bosnia than any of the former Yugoslav Republics. Despite the growth in tourism, and the spending of significant amounts of EU and IMF funds on infrastructure, unemployment remains very high at over 40% (44.3% at December 2012). Bosnia has stated an intent to join the European Union. Economically it is a long way from meeting the entry requirements, and is unlikely to be allowed to join, for political reasons, before Serbia. There is a great potential for insurance products in the Bosnian market, as historically they have not enjoyed a high penetration, and often values are at book rather than replacement cost. However the local commercial and retail markets have not evolved to the stage where the importance of insurance is recognised locally: a lasting legacy from the communist era. Property and Casualty (Liability) insurance for companies and individuals. Reinsurance for local insurers writing large and complex risks. Financial loss and bonds for CAR/EAR. MAI Croatia is already well-versed in helping companies understand these risks and opportunities and provides expert counsel for companies looking to protect their investments. 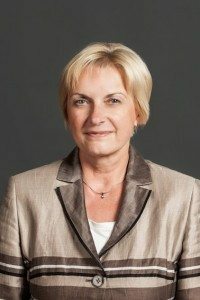 Blanka is typical of MAI CEE’s senior management in having a broad and deep career in the business at a senior management level, covering 26 years in the insurance and reinsurance industry. She started as a marine reinsurance underwriter at Croatia Lloyd, moving to become the reinsurance director for the Adriatic at Allianz, then a UNIQA Board member before heading operations for Generali in the region. Blanka speaks Croatian, English and German fluently.